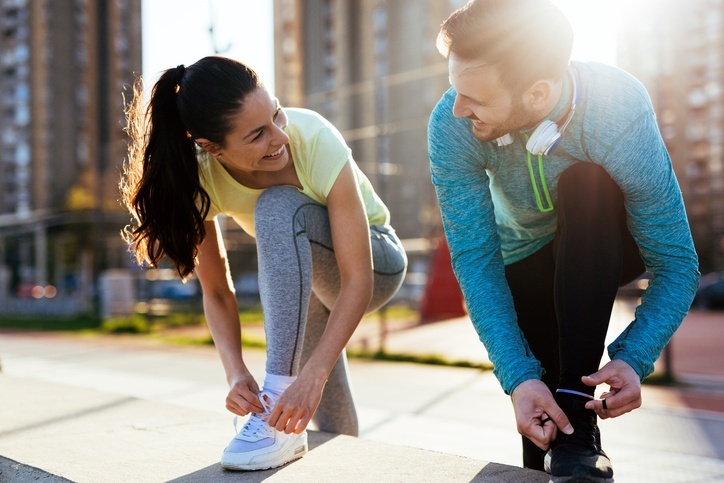 A new study by a Massachusetts General Hospital research team found that exercise is one of the best ways to turn on neurogenesis, the process of producing new neurons. Neurogenesis takes place in the hippocampus and striatum, and is essential to learning and memory. Because beneficial effects on cognition are often blocked in patients with Alzheimer’s disease (AD) due to the “hostile inflammatory environment” in the brain, the MGH team set out to see what impact adult hippocampal neurogenesis (AHN) has on AD pathology and if this could reduce symptoms associated with AD. They demonstrated that exercise did, in fact, induce neurogenesis in the mouse model, and they were also able to mimic these beneficial effects through gene therapy and pharmacological agents. What they found was that the animals with AHN induced by exercise showed improved cognitive performance and reduced levels of beta-amyloid. The new neurons in the other cohort, however, induced by gene and pharmacological therapy, could not survive in the brain already ravaged by AD. The study concluded "the key difference was that exercise also turned on the production of brain-derived neurotrophic factor (BDNF), which is known to be important for the growth and survival of neurons.” BDNF helped create a more hospitable brain environment for the new neurons to survive. [Thus,] “by combining drugs and gene therapy that both induced neurogenesis and increasing BDNF production, they were able to successfully mimic the effects of exercise on cognitive function." Creating new nerve cells is not enough. Survival and growth of new cells is dependent on a hospitable “cleaned up” environment, which exercise was found to foster. Click here for more "Research Forum Posts"